Five stable isomers of antiviral ribavirin agent were theoretically determined in gas and aqueous solution by using the hybrid B3LYP/6-31G* method. Here, the solvent effects were studied with the self consistent reaction field (SCRF) methodology employing the polarized continuum (PCM) and the universal solvation model (SM). Structural, electronic and topological properties were reported for all isomers while the vibrational analyses were performed only for those two polymorphic structures experimentally observed in the solid phase by X-ray diffraction. Calculations have evidenced that C2 correspond to the polymorphic V1 structure while C5 to the polymorphic V2 structure. The high dipole moment values predicted for C2 and C5 in both media could probably explain their presences in the solid. Experimental available IR and Raman spectra of ribavirin in the solid state and normal internal coordinates were employed together with the scaled quantum mechanical force field (SQMFF) approach to perform the complete vibrational assignments in both media. Here, the 81 vibration modes expected for C2 and C5 in both media were completely assigned. The frontier orbitals studies reveal that C5 is the less reactive in both media. Here, the gap value observed for C5 is in agreement with the value recently reported for ribavirin by using B3LYP/6-311++G** calculations. De Clercq E, Antiviral drugs in current clinical use, Journal of Clinical Virology, 2004; 30: 115–133. Moreno A, Bárcena R, García-Garzón S, Muriel A, Quereda C, Moreno L, Mateos ML, Fortún J, Martín-Dávila P, García M, Blesa C, Otón E, Moreno A, Moreno S, HCV clearance and treatment outcome in genotype 1 HCV-monoinfected, HIV-coinfected and liver transplanted patients on peg-IFN-?-2b/ribavirin, Journal of Hepatology, 2005; 43(5): 783-790. Galli A, Mens H, Gottwein JM, Gerstoft J, Bukh J, Antiviral Effect of Ribavirin against HCV Associated with Increased Frequency of G-to-A and C-to-U Transitions in Infectious Cell Culture Model, Scientific Reports, 2018; 8: 4619. J-M Chen, Song Li, Tong-Bu Lu, Pharmaceutical Cocrystals of Ribavirin with Reduced Release Rates, Cryst. Growth Des. 14(12) (2014) 6399-6408. Peng CS, Fedeles BI, Singh V, Li D, Amariuta T, Essigmann JM, Tokmakoff A, Two-dimensional IR spectroscopy of the anti-HIV agent KP1212 reveals protonated and neutral tautomers that influence pH-dependent mutagenicity, PNAS, 2015; 112(11): 3229-3234. Urzúa A, Rezende M C, Mascayano C, Vásquez L, Molecules, 2008; 13: 882-891. Anchoori R K, Quirine Kortenhorst MS, Hidalgo M, Sarkar T, Hallur G, Bai R, Van Diest PJ, Hamel E, Khan SR, J. Med. Chem. 2008; 51(19): 5953–5957. IDX-184 is a superior HCV direct-acting antiviral drug: a QSAR study, Medicinal Chemistry Research, 2016; 25(5): 1005-1008. Elfiky AA, Elshemey WM, Gawad WA, 2?-Methylguanosine Prodrug (IDX-184), Phosphoramidate Prodrug (Sofosbuvir), Diisobutyryl Prodrug (R7128) Are Better Than Their Parent Nucleotides and Ribavirin in Hepatitis C Virus Inhibition: A Molecular Modeling Study, Journal of Computational and Theoretical Nanoscience, 2015; 12:376–386. Kawakami K, Dynamics of Ribavirin Glass in the Sub-Tg Temperature Region, J. Phys. Chem. B, 2011; 115(39): 11375–11381. Vîjan LE, Topal? CM, Molecular modeling of ribavirin-DNA interaction, International J. Biology and Biomedical Engineering, 2016; 10: 18-24. Márquez MB, Brandán SA, A structural and vibrational investigation on the antiviral deoxyribonucleoside thymidine agent in gas and aqueous solution phases, International J. of Quantum Chem. 2014; 114(3): 209-221. Brandán SA, Structural, topological, electronic and vibrational properties of the antiviral trifluridine agent. Their comparison with thymidine, Paripex A Indian Journal of Research, 2017; 6(10): 346-360. Romani D, Brandán SA, Spectroscopic and Structural Study of the Antiviral Idoxuridine Agent by Using DFT and SCRF Calculations, IJSRM, International Journal of Science And Research Methodology, 2017; 8(1): 66-86. Romani D, Brandán SA, Investigating the Structural and Vibrational Properties of the Nucleoside Reverse Transcriptase Inhibitor Emtricitabine, IJSRM, International Journal of Science And Research Methodology, 2017; 8(1): 236-277. Iramain MA, Ledesma AE, Romani D, Brandán SA, Structural, electronic, topological and vibrational properties of isomers of thymidine. A study combining spectroscopic data with DFT calculations, IJSRM, International Journal of Science And Research Methodology, 2017; 8(2): 197-238. Topal? C M, Temperature effects on the FTIR Spectra of Ribavirin, Rev. Chim. (Bucharest) 2013; 64(2): 132-135. Kumar A, Development and characterization of ribavirin loaded poly (lactide-co-glycolide) nanoparticles by double emulsification method, Jadavpur University Kolkata, India, 2012-2013. Yang H, Liu Y, Huang Y, Tang B, Guo D, Li H, Determination of Ribavirin and Moisture in Pharmaceuticals by Near-Infrared Spectroscopy, Analytical Letters, 2016; 49(13): 2077-2091. Rizwana FB, Muthu S, Prasana JC, Abraham CS, Raja M, Spectroscopic (FT-IR, FT-Raman) investigation, topology (ESP, ELF, LOL) analyses, charge transfer excitation and molecular docking (dengue, HCV) studies on ribavirin, Chemical Data Collections, 2018; 17–18: 236-250. Becke AD, Density functional thermochemistry. III. The role of exact exchange J. Chem. Phys. 1993; 98: 5648-5652. Lee C, Yang W, Parr RG, Development of the Colle-Salvetti correlation-energy formula into a functional of the electron density, Phys. Rev. 1988; B37: 785-789. [Miertus S, Scrocco E, Tomasi J. Electrostatic interaction of a solute with a continuum. Chem. Phys. 1981; 55:117–129. Tomasi J, Persico J. Molecular Interactions in Solution: An Overview of Methods Based on Continous Distributions of the Solvent. Chem. Rev. 1994; 94:2027-2094. Marenich AV, Cramer CJ, Truhlar D.G. Universal solvation model based on solute electron density and a continuum model of the solvent defined by the bulk dielectric constant and atomic surface tensions. J. Phys. Chem. 2009; B113:6378-6396. Ugliengo P, MOLDRAW Program, University of Torino, Dipartimento Chimica IFM, Torino, Italy, 1998. Parr RG, Pearson RG, Absolute hardness: companion parameter to absolute electronegativity, J. Am. Chem. Soc. 1983; 105: 7512-7516. Brédas J-L, Mind the gap!, Materials Horizons, 2014; 1: 17–19. Márquez MJ, Márquez MB, Cataldo PG, Brandán SA, A Comparative Study on the Structural and Vibrational Properties of Two Potential Antimicrobial and Anticancer Cyanopyridine Derivatives, Open Journal of Synthesis Theory and Applications, 2015; 4: 1-19. Cataldo PG, Castillo MV, Brandán SA, Quantum Mechanical Modeling of Fluoromethylated-pyrrol Derivatives a Study on their Reactivities, Structures and Vibrational Properties, J Phys Chem Biophys, 2014; 4(1): 2-9. Romani D, Brandán SA, Márquez MJ, Márquez MB, Structural, topological and vibrational properties of an isothiazole derivatives series with antiviral activities, J. Mol. Struct. 2015; 1100: 279-289. Romani D, Tsuchiya S, Yotsu-Yamashita M, Brandán SA, Spectroscopic and structural investigation on intermediates species structurally associated to the tricyclic bisguanidine compound and to the toxic agent, saxitoxin, J. Mol. Struct. 2016; 1119: 25-38. Romano E, Castillo MV, Pergomet JL, Zinczuk J, Brandán SA, Synthesis, structural and vibrational analysis of (5,7-Dichloro-quinolin-8-yloxy) acetic acid, J. Mol. Struct. 2012; 1018: 149–155. Chain FE, Ladetto MF, Grau A, Catalán CAN, Brandán SA, Structural, electronic, topological and vibrational properties of a series of N-benzylamides derived from Maca (Lepidium meyenii) combining spectroscopic studies with ONION calculations, J. Mol. Struct. 2016; 1105: 403-414. Chain F, Iramain MA, Grau A, Catalán CAN, Brandán SA, Evaluation of the structural, electronic, topological and vibrational properties of N-(3,4-dimethoxybenzyl)-hexadecanamide isolated from Maca (Lepidium meyenii) using different spectroscopic techniques, J. Mol. Struct. 2016; 1119: 25-38. Minteguiaga M, Dellacassa E., Iramain MA, Catalán CAN., Brandán SA, A structural and spectroscopic study on carquejol, a relevant constituent of the medicinal plant Baccharis trimera (Less.) DC. (Asteraceae), J. Mol. Struct. 2017; 1150: 8-20. Iramain MA, Davies L, Brandán SA, Structural and spectroscopic differences among the Potassium 5-hydroxypentanoyltrifluoroborate salt and the furoyl and isonicotinoyl salts, J Mol. Struct. 2019; 1176: 718-728. 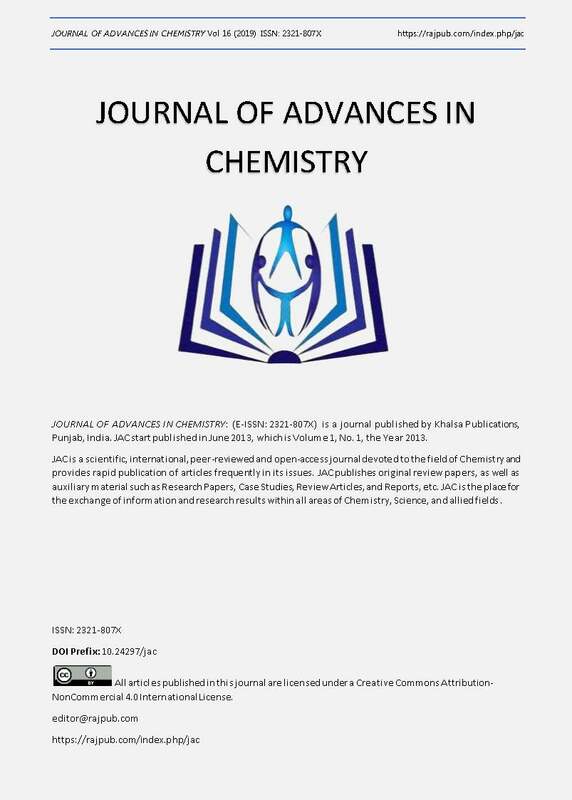 Issaoui N, Ghalla H, Brandán SA, Bardak F, Flakus HT, Atac A, Oujia B, Experimental FTIR and FTRaman and theoretical studies on the molecular structures of monomer and dimer of 3-thiopheneacrylic acid, J. Mol. Struct. 2017; 1135: 209-221. Minteguiaga M, Dellacassa E, Iramain MA, Catalán CAN, Brandán SA, FT-IR, FT-Raman, UV-Vis, NMR and structural studies of Carquejyl Acetate, a component of the essential oil from Baccharis trimera (Less.) DC. (Asteraceae), submitted to J Mol. Struct. 2019; 1177: 499-510. and nucleophilicity, Tetrahedron Letters, 54 (2013) 339-342. Romani D, Brandán SA, Structural and spectroscopic studies of two 1,3-benzothiazole tautomers with potential antimicrobial activity in different media. Prediction of their reactivities, Computational and Theoretical Chemistry, 2015; 1061: 89-99. Kiyooka S, Kaneno D, Fujiyama R, Parr’s index to describe both electrophilicity and nucleophilicity, Tetrahedron Letters, 2013; 54: 339-342. Rauhut G, Pulay P, Transferable Scaling Factors for Density Functional Derived Vibrational Force Fields, J. Phys. Chem. 1995; 99: 3093-3100. b) Correction: G. Rauhut, P. Pulay, J. Phys. Chem. 1995; 99: 14572. Sundius T. Scaling of ab-initio force fields by MOLVIB. Vib. Spectrosc. 2002; 29:89-95. Checa MA, Rudyk RA, Chamorro EE, Brandán SA, Chapter 1, Structural and Vibrational Properties of a reverse Inhibitor against the HIV Virus, Dideoxynucleoside Zalcitabine in Gas and Aqueous Solution Phases, pg. 1-26, Edited Collection, Nova Science Publishers, Inc. (2015). Rudyk RA, Ramos ME, Checa MA, Chamorro EE, Brandán SA, Chapter 4, Structural and vibrational properties of 5-trifluoromethyluracil derivative combining DFT and SCRF calculations with SQM methodology, pg. 77-107, Edited Collection, Nova Science Publishers, Inc. (2015). Romani D, Brandán SA, Effect of the side chain on the properties from cidofovir to brincidofovir, an experimental antiviral drug against to Ebola virus disease, Arabian J. Chem. (2015). 10.1016/j.arabjc.2015.06.030. Sanmarti B, Maimo Berenguer M, Solsona Rocabert R, Gabriel J, European Patent Application, EP 2 377 862 A1 19.10.2011 Bulletin 2011/42. Prusiner P, Sundaralingam M, The crystal and molevular structures of two polymorphic crystalline forms of virazole(1-?-D-Ribofuranosyl-1,2,4-traizole-3-carboxamide). A new synthetic broad spectrum antiviral agent, Acta Cryst. 1976; B32: 419-426. Nielsen AB, Holder AJ, Gauss View 5.0, User’s Reference, GAUSSIAN Inc., Pittsburgh, PA, 2008. Gaussian 09, Revision A.02, Frisch, M. J.; Trucks, G. W.; Schlegel, H. B.; Scuseria, G. E.; Robb, M. A.;Cheeseman, J. R.; Scalmani, G.; Barone, V.; Mennucci, B.; Petersson, G. A.; Nakatsuji, H.; Caricato, M.; Li, X.; Hratchian, H. P.; Izmaylov, A. F.; Bloino, J.; Zheng, G.; Sonnenberg, J. L.; Hada, M.; Ehara, M.; Toyota, K.; Fukuda, R.; Hasegawa, J.; Ishida, M.; Nakajima, T.; Honda, Y.; Kitao, O.; Nakai, H.; Vreven, T.; Montgomery, J. A., Jr.; Peralta, J. E.; Ogliaro, F.; Bearpark, M.; Heyd, J. J.; Brothers, E.; Kudin, K. N.; Staroverov, V. N.; Kobayashi, R.; Normand, J.; Raghavachari, K.; Rendell, A.; Burant, J. C.; Iyengar, S. S.; Tomasi, J.; Cossi, M.; Rega, N.; Millam, J. M.; Klene, M.; Knox, J. E.; Cross, J. B.; Bakken, V.; Adamo, C.; Jaramillo, J.; Gomperts, R.; Stratmann, R. E.; Yazyev, O.; Austin, A. J.; Cammi, R.; Pomelli, C.; Ochterski, J. W.; Martin, R. L.; Morokuma, K.; Zakrzewski, V. G.; Voth, G. A.; Salvador, P.; Dannenberg, J. J.; Dapprich, S.; Daniels, A. D.; Farkas, Ö.; Foresman, J. B.; Ortiz, J. V.; Cioslowski, J.; Fox, D. J. Gaussian, Inc., Wallingford CT, 2009. Reed AE, Curtis LA, Weinhold F, Intermolecular interactions from a natural bond orbital, donor-acceptor viewpoint, Chem. Rev. 1988; 88(6): 899-926. Glendening ED, Badenhoop JK, Reed AD, Carpenter J E, Weinhold F, NBO 3.1; Theoretical Chemistry Institute, University of Wisconsin; Madison, WI, 1996. Bader RFW, Atoms in Molecules, A Quantum Theory, Oxford University Press, Oxford, 1990, ISBN: 0198558651. Biegler-Köning F, Schönbohm J, Bayles D, AIM2000; A Program to Analyze and Visualize Atoms in Molecules, J. Comput. Chem. 2001; 22: 545-559. Besler BH, Merz KM Jr, Kollman PA, Atomic charges derived from demiempirical methods, J. Comp. Chem. 1990; 11: 431-439. Romano E, Ladetto F, Brandán SA, Structural and Vibrational studies of the potential anticancer agent, 5-difluoromethyl-1,3,4-thiadiazole-2-amino by DFT calculations, Comput. Theoret. Chem. 2013; 1011: 57-64. Romano E, Soria NAJ, Rudyk R, Brandán SA, Structural and Vibrational Properties of a 1,3,4-Oxadiazole derivative with diverse biological activities, J. Asia Spectrosc. 2013; 17: 1-28. Romano E, Soria NAJ, Rudyk R, Brandán SA, Theoretical Study of the infrared spectrum of 5-phenyl-1,3,4-oxadiazole-2-thiol by using DFT calculations, J. Molec. Simul. 2012; 38(7): 561-566. Romano E, Soria NAJ, Rudyk R, Brandán SA, Theoretical structural and vibrational study of a potential bioactive agent: the (5-pyridin-4-yl)-1,3,4-Oxadiazole-2-thiol compound, Asian Materials Science Letters, 2013; 2: 1-14. Márquez MJ, Márquez MB, Ladetto MF, Brandán SA, A structural and vibrational investigation on a material for sodium-ion batteries, the NASICON-type Na3V2(PO4)3 compound based on Ab-Initio calculations, ChemXpress, 2015; 8(2): 57-73. Bushmarinov IS, Lyssenko KA, Yu Antipin M, Russian Chem. Rev. 2009; 78(4): 283-302.